Fall mini sessions are here! These sessions are limited to 45 minutes Monday through Friday only between now and December 6, 2013. The cost of $165 includes tax and 5 digital images loaded onto a CD or USB drive. You can choose morning or evening to catch the sun lower in the sky during it’s most golden hours. This will give your photos that beautiful warm glow that cannot be reproduced by any photoshop magic. 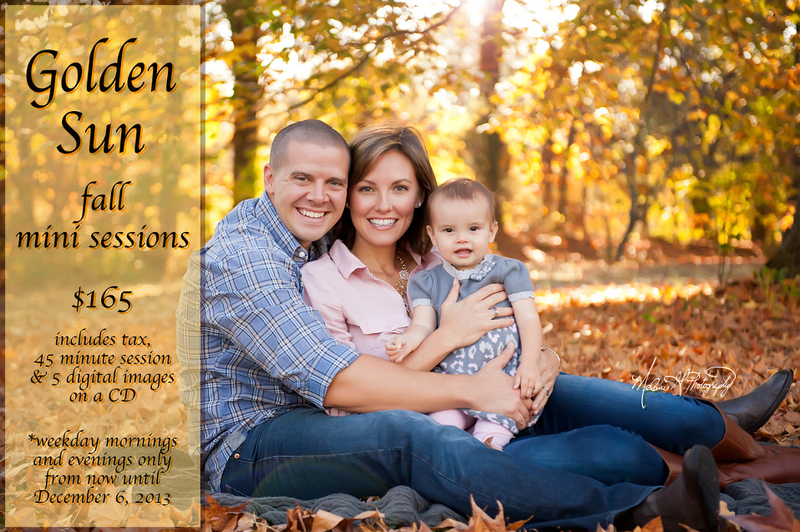 Fall mini sessions are perfect for holiday cards, and time slots will fill up fast. Email me soon to reserve your spot! melaniegphoto@gmail.com.